HOW MUCH OF YOU SHOULD SHOW UP IN MARKETING? Have you noticed the recent shift to ‘being vulnerable’ on social media and in marketing across the board? Before you bare your soul on YouTube or any other platform as part of your marketing strategy, consider this. While vulnerability has merit for its ability to connect, it can backfire by coming across as a blubbering mess of emotion if it is not balanced with trust. A delicate mix of vulnerability and trust, along with credibility and entertainment, develops a complete character in people’s minds. Providing a well-rounded presentation of yourself goes a long way to develop a lasting relationship with your audience rather than settling for a one-off, emotion-induced sale. Something can feel like it's missing for your audience even if you share your deepest, darkest secrets! In many cases sensitive, personal tid bits are irrelevant, unwelcome and far from constructive for building a lasting relationship. 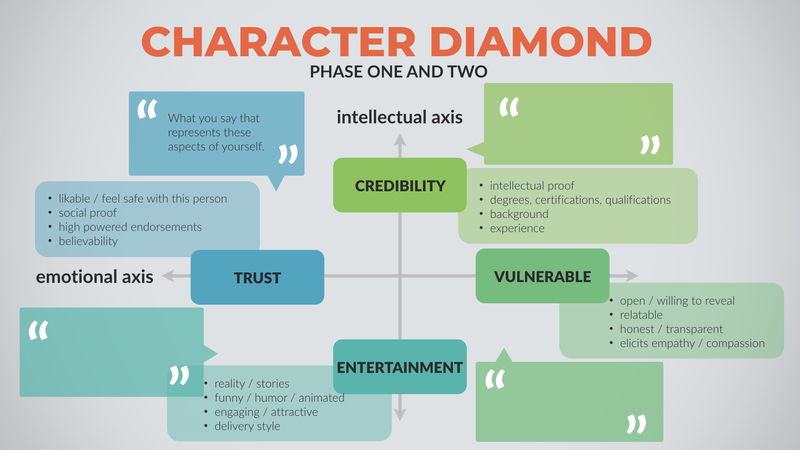 You can make sure that your copy provides a balance of credibility, entertainment, trust and vulnerability by using a Character Diamond to chart the aspects of yourself you choose to share with the world as part of representing your brand. It’s pretty safe to assume the scientist would overdeliver on the geeky science, perfectly defining the molecular structure and the mechanics of how the drug dismantles cancerous cells. He’d list all the prestigious schools he’d graduated from and describe the scientific principles that were the backbone of his discovery. When it comes to credibility, this guy would be a #boss, but a guy in a lab coat talking about cells would be far more warmly received if he also entertained our minds and hearts with visions of a cancer-free world in which our afflicted loved ones live to love another day. Can you see how just a few images, a video clip or even a single story that lets us (the audience) see the difference his discovery has made in his patient’s lives and the lives of their families would pull us into his world, have us ready to support his cause and hit the BUY NOW button? That is the magic of balancing credibility with entertainment. Given even the tiniest bit of a story to feel into, our brains will superimpose ourselves into the circumstances of the characters and we become invested. In order to fully “get” a brand, the audience needs clarity of where it stands in all four areas. That’s why it is useful to chart a Character Diamond for all the voices that represent your brand. To make it easy for you, I created a Character Diamond template. Before you bare it ALL in your marketing, lets answer this question. How much of YOU should show up in your marketing? We all need to come up with our own answer, but here are my guidelines for what I’m willing to share in our copy in case it helps you make your decision. How MUCH is less important than how GENUINE what you share is. People can sniff out when you’re stretching the truth and will know something is off. Be real. 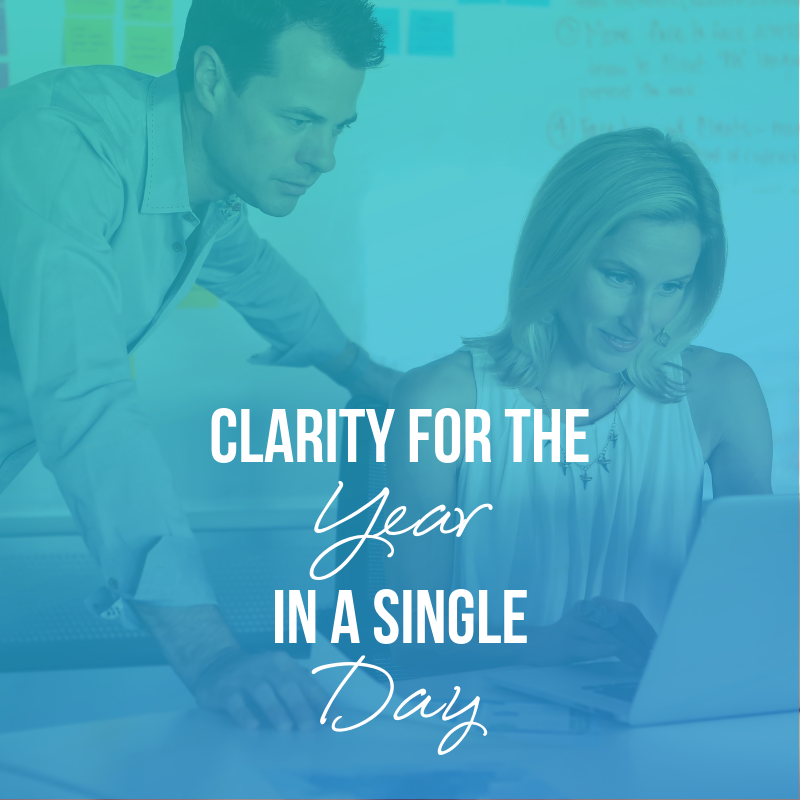 How much you share will change based on time and proximity to you. For example, people who take your free content online won’t see nearly as much of you as those who enroll in a live weekend workshop, long-term coaching or subscribe to your products for life. Once people have self-selected into a tribe, revealing more to them feels like a natural progression of the relationship. Progression of what’s revealed should be deeper, not different. As an audience progresses closer to you, they should experience more of the same you rather than discover a version of you that conflicts with what they were drawn to in your marketing. Create healthy boundaries! Solid brand leaders walk their talk. That means living according to the values declared by your brand. AND you get to have a life outside your brand that is as private as you want it to be. Fulfill the need of creating vulnerability without exposing personal subjects you feel are off limits. No need to post your wedding pics if that’s not your style. Think of your marketing as a direct conversation with a single person who’d benefit from what you’ve got to offer. This prevents interactions from being transactions. Trust that the transaction will happen at the point of sale, after you’ve interacted in such a way that invites the person to relate with you. Have fun! When you take on marketing as a way of relating to other humans who need you, fun is usually a natural component. What are your parameters for deciding how much of you shows up in your marketing? Post them below to help the rest of us learn from your wisdom.